For so long, I and my siblings wanted to have a pet, but my mother would not let us; she thought that would drive the house out of order. We tried in every way but she still wouldn’t!! This year; however,- it seems like the Arab spring infiltrated to everything- a cat came over one day, so my brotherss decided the cat should stay! Mom objected. We insisted. The cat stayed! The extraordinary thing was that when mom talked to the cat or complained about her, she would pretend she did not hear anything! 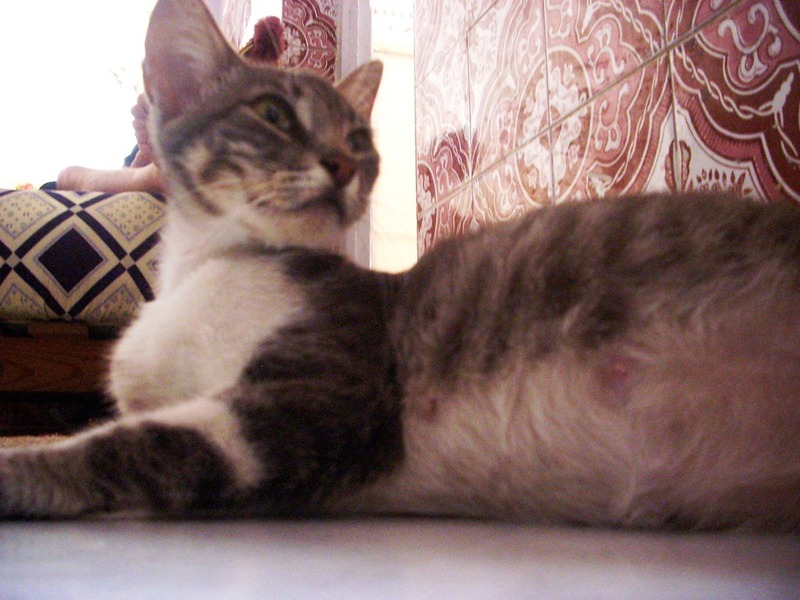 Few months later, the cat gave birth to four lovely kitties one of which died for unkown reasons. The other three spread everywhere a few weeks later. They were part of the everyday scene. We fed them most of the time, but sometimes their momy would go out and bring something for them and her to eat. When she is in our house, she looks so big but when she gets out she looks so small compared to the other cats. On the other hand, our house is the world for the kitties and I cannot but wonder: What will be of them when they are out? What will be of jojo, the nicest of all, and the others; the lazy and the ferocious? For they all are going to be introduced to society some day!